For many years, the building that occupied 26452 Sorters McClellan Rd in Porter, Texas was a very different type of establishment. Though today the brewery bustles with machinery and fills with the aromas of beer, this old church building used to house a congregation and fill with the sound of prayers. Though church folk are known for following tradition, we beer guys aren’t so easily defined. We seek inspiration from sources strange and fantastic, and we passionately brew our beers with creative characters and daring twists. We are the ones who do things differently, because it’s the only way we know. We are the misfits, the ones who don’t do things by the book, the ones who spurn convention, the ones who occupy the back pew. For many years, the building that occupied 26452 Sorters McClellan Road in Porter, Texas was a very different type of establishment. Though today the brewery bustles with machinery and fills with the aromas of beer, this old church building used to house a congregation and fill with the sound of prayers. Bobby Harl has many passions, but beer runs in his blood. 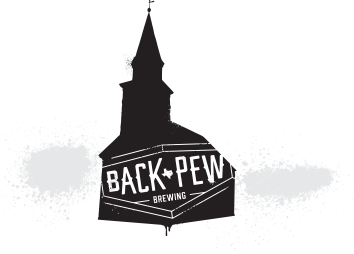 Now, this isn’t to say the Back Pew Brewmaster stumbles around with a BAC that could also be the Richter rating of a small earthquake…it just means crafting beers full of flavor and rich character is what he was meant to do. While earning his PhD and MBA at Vanderbilt University in Nashville, Tennessee, Bobby also helped brewing mentor Steve Scoville and business mentor Michael Kwas start Little Harpeth Brewing Company. Although his schoolwork may not have done much to further his brewing skills, the mentorship and experience gained at Little Harpeth has helped Bobby learn the ins and outs of his craft. Now, the prodigal son has returned home. Bobby grew up in Houston, and his vision is to bring the technical knowledge gained at Vanderbilt and the artistry practiced at Little Harpeth together to create Houston’s next legendary craft brewery. Questions, concerns, or inquiries? Drop us a line. Most Frequently Asked Question: When are you open? Note: If you're wondering about our open hours and how things go, just jump over to our Taproom & Tours section of the website as it should answer many of your questions!